We've had so many wonderful things happen to confirm this journey and ministry to and in South Africa. We're going to keep them here so we'll always remember! There are praise reports in the mix as well! Thankfulness and gratefulness are keys to living joyfully in our faith, despite difficult times. Even when things are hard, there is always something to be thankful for. When things are going well, we have even more reason to rejoice. Here are some articles Laurie-Ann has written on thankfulness and gratitude. That Jesus is King and is in control. He is God. We are not. 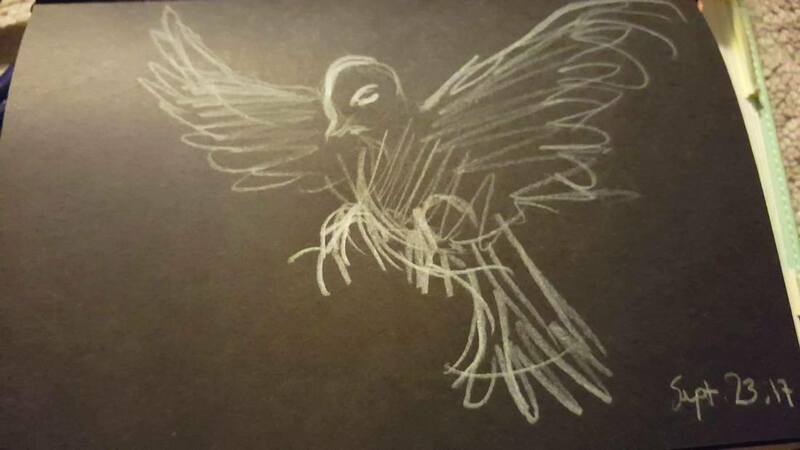 My friend Wei Wei Chan had an impression of us being protected under God's 'wing' like a dove. ​I asked her to draw what she saw.